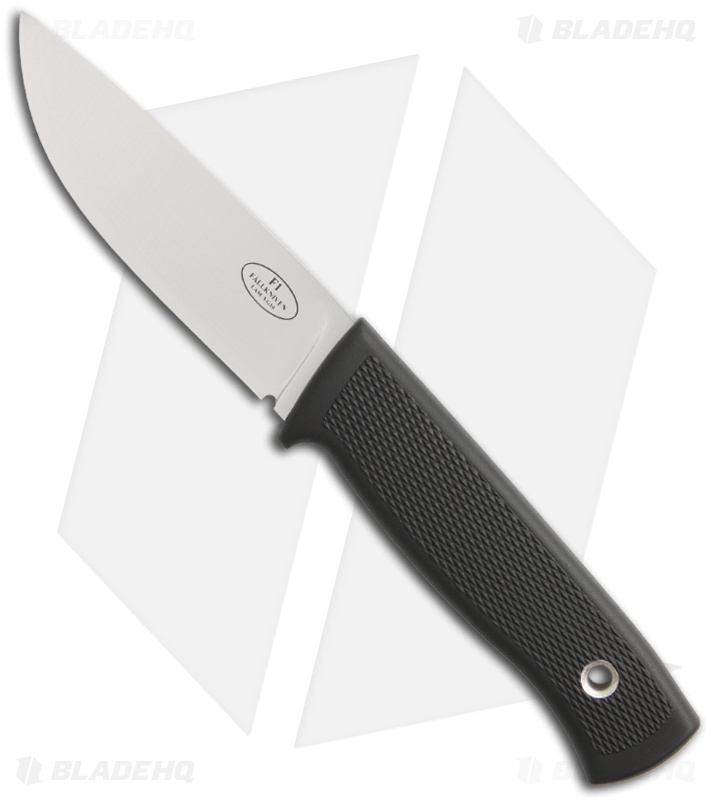 This Fallkniven F1 knife has a convex ground satin finished blade, made from a stainless steel laminated VG-10 core. 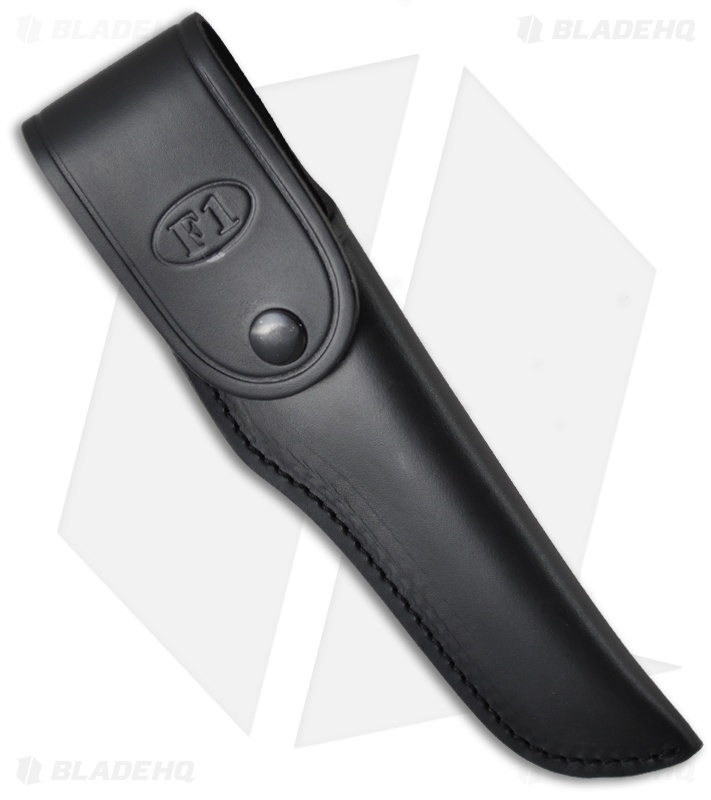 The diamond textured Thermorun handle provides an ideal platform for safe and comfortable use, whether wet or dry. Tang protrudes at base slightly (less than 1/16"). This Fallkniven F1 comes with an all-covering pouch type leather sheath with belt loop.